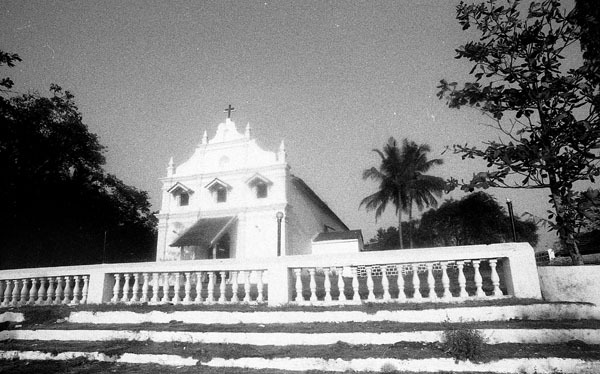 Could the Church of São Brás in Gandaulim be a remnant of a 16th century Croatian colony in Goa? Sao Bras Church in Gandaulim. Recently, during a week in Goa unwinding from city life in Bangalore, I decided to leave my spot on the Candolim beach for a day to search for the last standing remnant of the alleged Croatian (Dubrovnik) colony in Goa. I’d read about it in articles a friend located for me at the Dubrovnik Scientific Library last spring, after some Croatian acquaintances were keen to show me newspaper clippings and pictures of themselves leaning against the whitewashed façade of the São Brás Church in Goa – memorabilia from trips taken years ago. 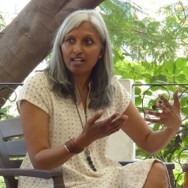 Croatian indologist Zdravka Matišić stirred up a flurry of interest in Goa within Croatia, and in 1999, a 15-member Croatian delegation flew to Gandaulim to visit the São Brás Church and investigate the possible Croatia-Goa connections. Nine years later, a São Brás priest, Father Orlando Lopez, returned the visit as a special guest of Dubrovnik’s annual Festival of St Blaise (celebrated on 3 February, the same date as the Gandaulim Feast of São Brás), where he was given a donation for the renovation of the São Brás Church, collected by the citizens of Dubrovnik and pharmaceutical company Pliva. 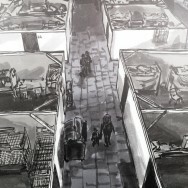 With all my maps beckoning in that direction, I first rode my scooter to Old Goa, and from there towards nearby Cumbarjua, sensing São Brás might be just around the corner. When I ask about the church in Cumbarjua, an old man sitting at the side of the road waves his hand towards a canal and ferry dock just 20 metres away. I ride onto the ferry that is just docking, wedging my bike between two scooters whose teenage riders don’t bother turning off their engines for the short crossing. They remind me of John Travolta in Saturday Night Fever, with thick hair neatly slicked back with abundant grease, geared up for an outing. Sitting behind them are two girls in bright polyester dresses heavy with glitter, their wrists flashing bulky new watches. 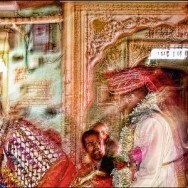 The couples ooze a heady mixture of cheap fruity perfumes, alacrity and sweat. In just a few minutes we dock on the other side of the canal, from where a narrow road leads slightly uphill. 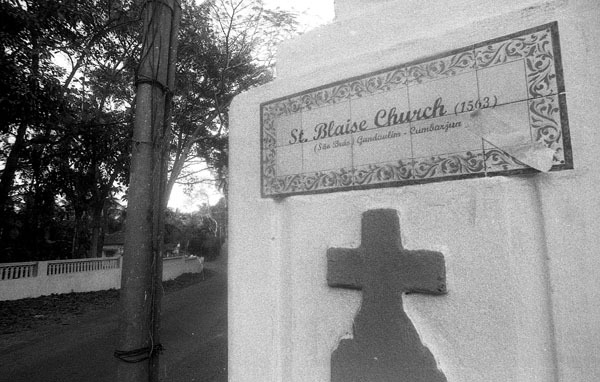 On either side, the vestiges of the stone bulwark that once protected the city of Goa – and along which the alleged Croatian colony, São Brás, was located – are covered in moss, but the old entrance gate has been torn down. Entrance to the courtyard of Sao Bras Church. 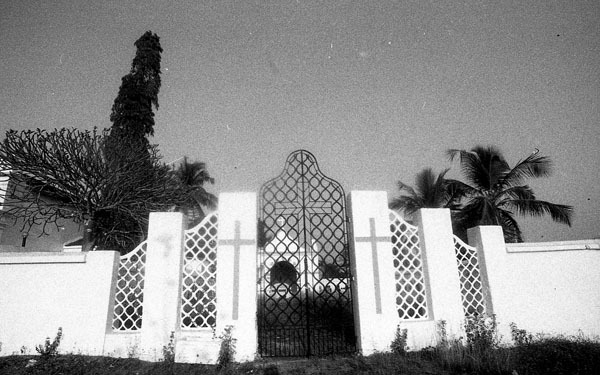 Entrance to the cemetery adjoining Sao Bras Church. Featuring on the cover of February’s Indian edition of Lonely Planet magazine is Croatia’s coveted southernmost destination, the city of Dubrovnik. Its intricate grid of streets are bathed in light, its stone walls rimmed on three sides by the blue sea. Croatia was included in the ‘hot list’ of best places to holiday in the summer of 2014, dubbed ‘the perfect Mediterranean escape’. Dubrovnik’s Old Town, on UNESCO’s World Heritage List since 1979, is today a high-end destination that negotiates rivers of tourists during the summer months, and environmentally (and culturally) hazardous foreign investment schemes and inflated prices throughout the year. However, its enterprising, if lesser-known, past is as intricate as its palaces’ façades, and reveals that Dubrovnik’s links to the rest of the world go beyond the contemporary tourism context. From 1358 to 1808, Dubrovnik was a politically unique formation known as the Republic of Ragusa. A 17th century Italian cosmographer, Luca de Linda, called Ragusa the Porta dell’ Oriente (Gateway to the East), for its significance, comparable to that of Venice, in the European trade of oriental goods and spices brought by caravans via overland Levant routes to Mediterranean ports. There, Ragusan ships waited to further distribute goods to European markets. Contemporary Croatian scholar and diplomat Darko Bekić (in an article on the expansion of the Dubrovnik Republic in the 16th century and the alleged Ragusan settlement of São Brás in Goa) writes that what made this commercial success possible for Ragusa was the political stance it assumed towards the major powers of the time: the Ottoman Empire on one side, and Papal Rome and powerful Christian states on the other. It allowed the Ragusans to trade across the Muslim world as well, including the Levant, the Arabian Peninsula and Persia. In addition to entitlements given by popes, Islamic rulers were also quick to grant trading privileges to this little vassal republic, as they did not perceive it to be a threat. Nonetheless, and due in part to this famed diplomacy, Dubrovnik shied away from real colonial expansion. Although in the 16th century it developed one of the most powerful merchant fleets in the world, it did not construct warships. Still, after Vasco da Gama discovered the sea route to India in 1498, the Portuguese started directly trading in Eastern wares, prompting Ragusan merchants to sail the roundabout African route to India as well. Tracing various sources, Bekić concludes that the Ragusans reached Portuguese Goa sometime between 1530 and 1535, later founding their own colony on the outskirts of the city, naming it São Brás after the church they had built in 1563. In his Ragusan annals from 1605, Dubrovnik historian Jakov Lukarević confirms the Ragusan presence in Goa, but writes that they had not built the São Brás Church, only decorated it: the gifted bell that once adorned the belfry featured the image of St Blaise holding a model of the city. Croatian author Ivo Šišević interprets this as firm evidence of the Goa-Ragusa connection, since St Blaise, as the city’s patron saint, has always been identically represented in Dubrovnik. Šišević continues that the São Brás Church in Gandaulim resembles, to some extent, the 16th century St Saviour Church in Dubrovnik, and not its more flamboyant Baroque namesake located a bit further down the city’s main street, Stradun. Portuguese writer Gomes Catão has noted that São Brás, in its heyday, boasted a population of 12,000. Its wealthy ladies were carried under canopies to the Church of São Brás by so many slaves that ‘they stirred up clouds of dust’. Some Croatian authors would have us believe those were Dubrovnik ladies, so-called gospoje. However arguable that may be, according to scholar Nicholas Mirkovich’s findings, the Ragusan presence in Goa and Ragusa’s role in the spice trade did, at one point, cause much consternation among the Portuguese, especially since Dubrovnik traditionally had good political relations with Spain (which conquered Portugal in 1580). I arrived at the Church of São Brás shortly before sunset, and the sky was fading. It was quiet and serene as I climbed from the main entrance gate to the clean-cut, elegant church. To its right is a small gated cemetery, the graves surrounded by dry shrubs. 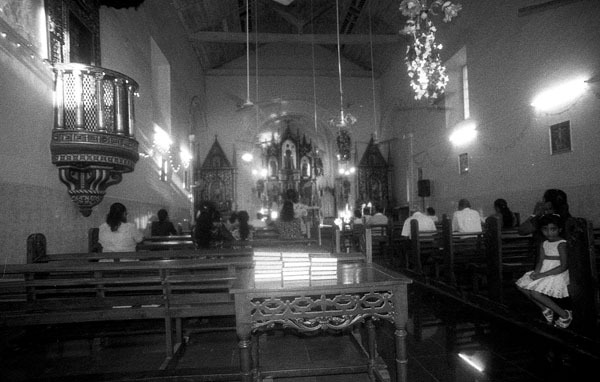 From the inside of the church, soft singing in Konkani infused the pervading calm. I went in and sat in the back row. A little girl in an immaculate white dress kept turning towards me, curious or bored, while her mother was immersed in her prayer book. I surveyed the interior: the neo-gothic, wooden main altar with St Blaise (São Brás in Portuguese) as the central figure, wearing a crimson bishop’s mitre and vestment and clutching a crosier in his left hand, under the beautifully ornamented dome, an interplay of petals. The saint’s image is again a familiar one: the saint Dubrovnik swears by, I’ve seen him tucked into little niches in the city’s stone walls, at its altars, on postcards, his miniature statues sold as souvenirs or talismans. 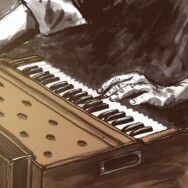 What was the trajectory of his travels, I wondered. Holy mass at Sao Bras Church. 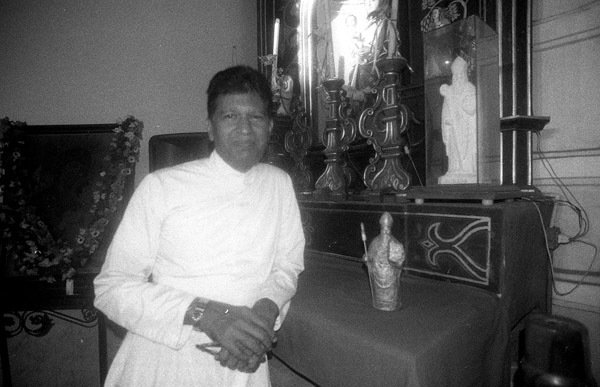 Father Lino de Sa, who has been the São Brás parish priest for three years (and who could star in an Indian remake of The Thorn Birds), later tells me he has heard about the purported Croatian origins of the church. He hands me a brochure printed last year, for the 450 year anniversary celebrations of the parish, which now counts some 300 parishioners. On its cover is the Church of São Brás, white against blue on a carpet of intense (photoshopped) green. 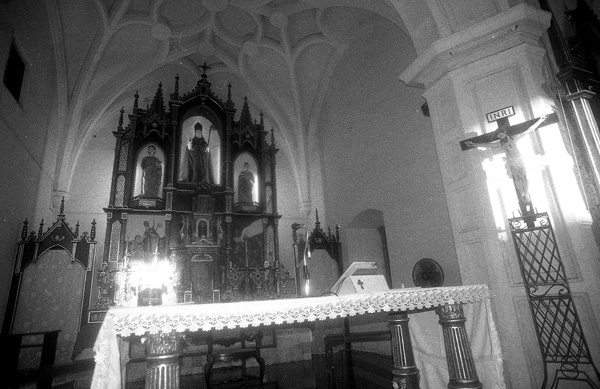 In his introductory article on the history of the São Brás Parish, Father Mousinho de Ataíde (Parish Priest of Neurá Church) quotes Gomes Catão: “The Church is said to be a replica of the one, dedicated to the same saint, in Dubrovnic, Croatia.” The article also features several sketches of the surrounding area by A Lopes Mendes. One of them, ‘Porta de S Braz,’ shows the old entrance gate and the defensive wall at the ferry dock at Cumbarjua canal, dotted with row boats and a sailboat. A tall residential house, now also non-existent, rises behind the walls on the right. The whole scene is framed by slender palm trees. The canal was, the article further explains, once swarming with crocodiles maintained by the Portuguese to scare away enemies wanting to penetrate Goa’s city defenses. Father Lino with statues of Sveti Vlaho, or St Blaise, brought from Dubrovnik. Father Lino shows me a small stone statue of St Blaise with the saint’s Croatian name, ‘Sv Vlaho,’ chiseled below the rim of his robe, and holding the model of the city in his hand. “A parishioner brought it from a business trip to Dubrovnik,” he tells me. It’s almost dark when I bid my farewells to Father Lino and leave the São Brás Church, the clear contours of which now diffuse into the settling dusk and merge with the sky behind. 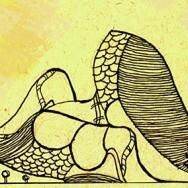 My eyes have to strain to discern the sfumato lines and shapes, distinguish one from another. According to Mirkovich, Ragusan involvement in the East Indian spice trade began to slowly wane around 1570, finally ending with the earthquake of 1667, which almost completely destroyed Dubrovnik. However, the main reason for the Ragusan withdrawal from the Orient, he adds, was the renewed Venetian competition in the region, and Ragusa’s political alliance with Spain. After 1580 its main fleets, redesigned as warships, were transferred to the Atlantic and West Indies to guard Spanish interests against the English, Dutch and French. Similarly, Bekić writes that the colony probably declined in the 17th century, when Portugal lost its monopoly on the spice trade because of growing Dutch influence, and the presence of the British East India Company, when Goa fell off the main trade routes. Croatian indologist Karmen Bašić, in a 1999 book on early Croatian travellers to India, critically examines all texts cited above, calling for more research on the subject in European and Goan archives. Neither can we know for certain when the first Ragusans arrived in Goa nor when they left, she writes. Although a substantial body of evidence and sources vouching for Ragusa’s (successful) presence in Goa and its role in the world spice trade exists, the São Brás colony remains somewhat of a mystery. Sao Bras altar, with Sveti Vlaho in the middle.